Retail fit. Tear-away label. Thick dyed-to-match drawcords. Side seamed. Kangaroo pocket. Rib knit cuffs and hem. 6.5-ounce, 52/48 Airlume combed and ring spun cotton/poly fleece, 32 singles. Prices listed are for blank items. An upcharge will apply on sizes 2XL and up. 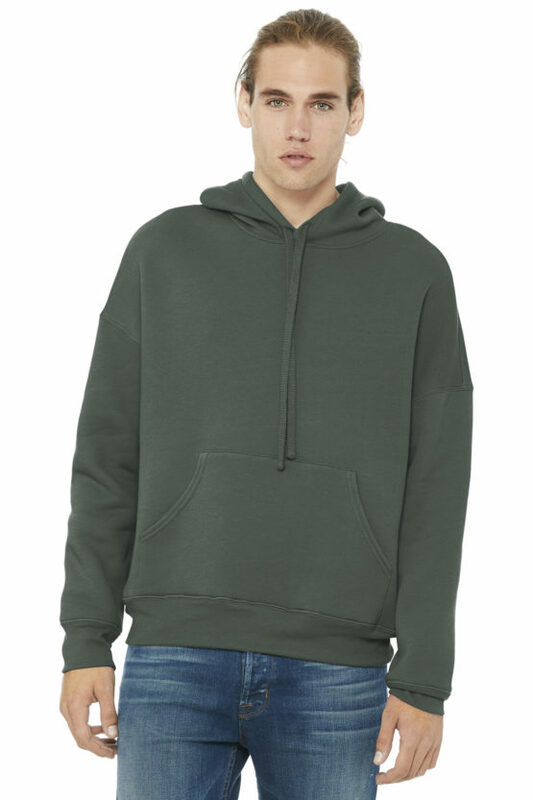 Casually cool, this hoodie adds a light layer to any look.| 4.4-ounce, 60/40 ring spun combed cotton/poly, 30 singles Form fitting Dyed-to-match drawcords and zipper Tear-away label Shoulder to shoulder twill taping 1x1 Rib knit cuffs and hem Size up for a less fitted look Please note: This product is transitioning from woven labels to tear-away labels. Your order may contain a combination of both labels. A comfortable raglan hoodie with a classic varsity feel 6.5-ounce, 55/45 ring spun combed cotton/poly fleece Tear-away label Coverstitch details Raw edge details Split v-neck Dyed-to-match drawcords Back neck tape 2x2 rib knit cuffs and hem Please note: This product is transitioning from woven labels to tear-away labels. Your order may contain a combination of both labels. Cozy sweats in our core weight. | 7.8-ounce, 50/50 cotton/poly fleece Air jet yarn for a soft, pill-resistant finish Jersey-lined hood Side seamed with a contoured body for a feminine fit Due to the nature of 50/50 cotton/poly neon fabrics, special care must be taken throughout the printing process.